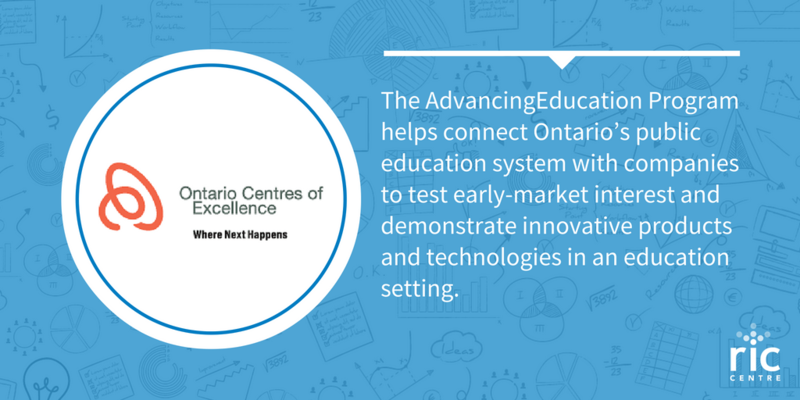 Ontario Centres of Excellence (OCE) is pleased to be launching the second and concluding round of an exciting program aimed at developing innovative new technologies, products and services to enhance Ontario’s public education system. The AdvancingEducation program will support up to 10 projects connecting Ontario’s English and French public elementary and high schools, and post-secondary institutions with Ontario companies to test early market interest and demonstrate innovative products and technologies in an education setting. Technologies may target one or more of the following users: students, teachers, administrators, and parents/caregivers. The program is offered by OCE in co-operation with Ontario’s Ministry of Government and Consumer Services (MGCS). Expressions of interest are now being accepted with selected full proposals due on April 18, 2017. The first round of five successful applicants will be announced in August.